Flettner Ventilators can be fitted to trailers which are used for animal transportation to improve air flow and ventilation. 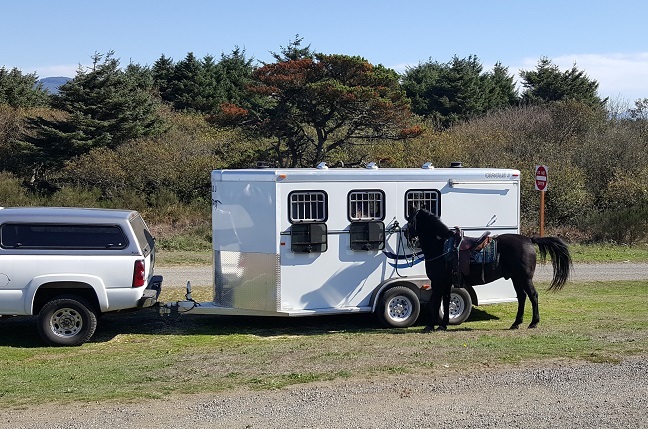 This horse trailer ventilation case study looks at the positive effects the fitting of two Flettner TCX-2 ventilators made to the environment for horses being transported in external temperatures sometimes reaching 100 degrees fahrenheit. 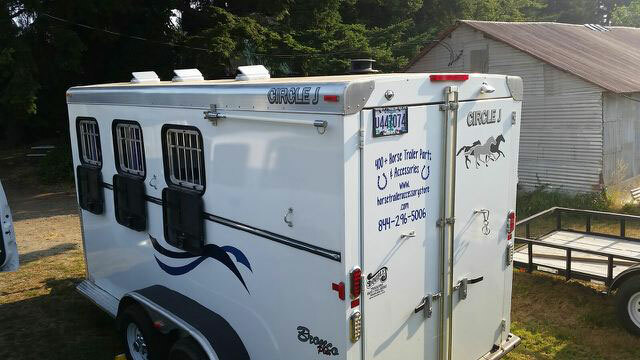 “I am thrilled with the positive effect the TCX-2 roof ventilators have had on the general environment of my horse trailer, when added to the horse & tack compartment. I have not detected an unpleasant odor in my trailer since the vents were installed! Unlike our existing roof vents, these ventilators are generally left in the open position all year- in rain, sun & snow. In our own un-scientific test, the Flettner ventilator installed in the horse compartment roof lowered the inside temperature by 13 degrees while the trailer was being pulled on a highway in 100 degree heat. The installation process took 10 minutes. These vents have never leaked, and I did not have to apply any extra caulking or sealant. The Flettner TCX-2 vents work 24 hours a day to extract heat & odor whether the trailer is moving or not, because they are powered solely by the wind. Even a small breeze is enough to keep them working all the time! 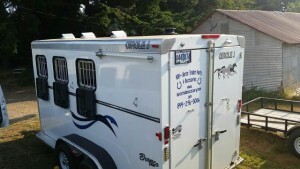 In my opinion, everyone hauling animals in a trailer should consider installing these roof ventilators”.